Taking a stroll along the Mekong River in Vientiane, Laos. The night market area and Chao Anouvong Park is usually packed on any given night with tourists and locals alike. 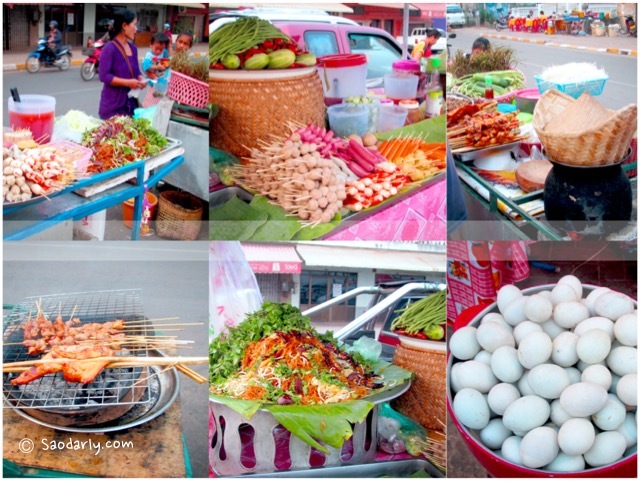 You can’t go hungry when you are hanging out with your family or friends at Vientiane Riverside. There are plenty of food stalls selling Lao Food and other foreign dishes and drinks. When you feel like grabbing something to eat or drink, just follow your nose or your appetite.